Bookings are almost back from the industry slowdown due to the Costa Concordia accident, and Royal Caribbean expects a strong fourth quarter driven by increased last-minute bookings and decreased costs. 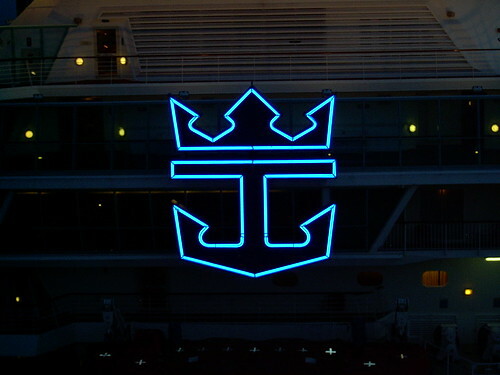 Royal Caribbean Cruises Ltd. (RCL) announced lower third-quarter 2012 net income of $367.8 million, or $1.68 per share, versus $399.0 million, or $1.82 per share, in the prior-year quarter. On average, 19 analysts polled by Thomson Reuters expected earnings per share of $1.45 for the quarter. Analysts’ estimates typically exclude one-time items. Royal Caribbean’s bookings were negatively impacted by the Costa Concordia sinking. Photo by Mike Burton. Total revenues declined to $2.23 billion, from $2.32 billion a year earlier. Analysts estimated revenues of $2.21 billion for the quarter. For the fourth quarter of 2012, NCC excluding fuel are expected to be up about 1% on a constant-currency basis and flat to up 1% on an as-reported basis. Excluding the deployment initiatives and changes to the company’s international distribution system, NCC excluding fuel are likely to be nearly flat on both a constant-currency and as-reported basis. Additionally, the company has raised its full-year earnings per share guidance by $0.15 to a range of $1.85 – $1.95, driven mainly by stronger than anticipated revenue and expense reduction. The remaining $0.03 per share improvement is principally due to currency benefits net of oil price increases.